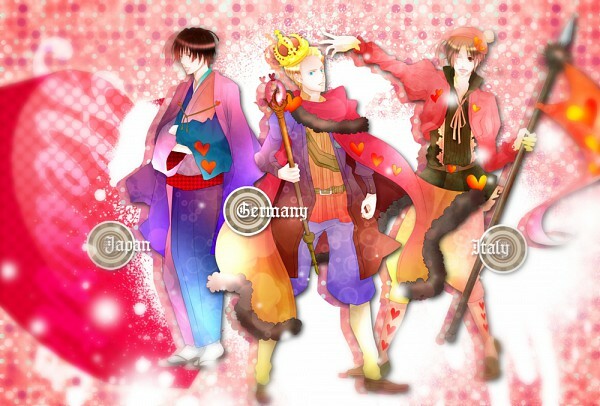 ~Hetalia Cardverse: The Hearts~. . Wallpaper and background images in the हेतालिया club tagged: hetalia cardverse hearts jack king queen germany japan italy. This हेतालिया fan art might contain गुलदस्ता, कंचुकी, कहावत, फूलों का गुच्छ, चोली, पॉसी, नाकगेय, ब्रोच, and nosegay. A Guide to लेखन Fanfictions and Roleplaying Accurately.